Expand your internal storage with an additional hard drive. 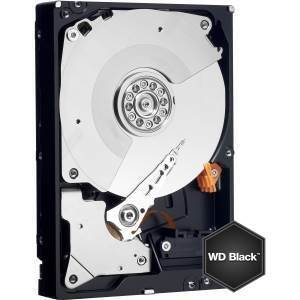 We've chosen the Western Digital range Black (1 to 4 Tb) as our best choice of drives for you in terms of cost/performance/reliability ratio. For the massive 6 Tb of storage we have chosen the Western Digital Green. Installing these drives is easy. With your computer OFF, simply open up your case and attach the SATA cable to the appropriate slot on your PC, attach power from your PCs power supply and secure your drive in an available bay. Restart your PC and it will be automatically detected. Format and use! If unsure, consult a technician or go to youtube for a variety of how to videos on installing internal hard drives. These drives are usually not shipped to retail with the needed SATA cable. PC Aviator provides a courtesy FREE SATA cable with your Internal Hard Drive so it will be ready to use when you receive it without you having to go hunt for a SATA cable.